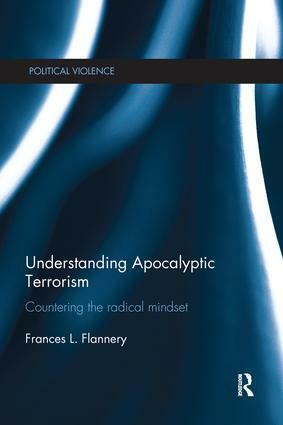 This book explores a cross-cultural worldview called 'radical apocalypticism' that underlies the majority of terrorist movements in the twenty-first century. Although not all apocalypticism is violent, in its extreme forms radical apocalypticism gives rise to terrorists as varied as members of Al Qaeda, Anders Behring Breivik, or Timothy McVeigh. In its secular variations, it also motivates ideological terrorists, such as the eco-terrorists Earth Liberation Front or The Unabomber, Ted Kaczynski. This book provides an original paradigm for distinguishing between peaceful and violent or radical forms of apocalypticism and analyses the history, major transformations, and characteristics of the apocalyptic thought system. Using an inter-disciplinary and cross-cultural approach, this book discusses the mechanisms of radicalization and dynamics of perceived oppression and violence to clarify anew the self-identities, motivations, and goals of a broad swath of terrorists. As conventional counter-terrorism approaches have so far failed to stem the cycle of terrorism, this approach suggests a comprehensive "cultural" method to combating terrorism that addresses the appeal of radical apocalyptic terrorist ideology itself. This book will be of much interest to students of apocalypticism, political violence, terrorism and counter-terrorism, intelligence studies, religious studies, and security studies.